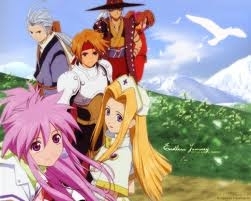 Tales of Phantasia is a Japanese role-playing game, developed by Wolf Team/Namco Tales Studio and published by Namco for release on the Super Nintendo. It is the first mothership title in the Tales franchise and was later remade/re-released on the PlayStation, Game Boy Advance and PlayStation Portable. Twelve years after Dhaos had been sealed away, a young swordsman named Cress Albane and his best friend, Chester Burklight, live in the town of Toltus. One day, while Cress and Chester are out hunting in the forest, the town is destroyed by a dark knight named Mars and his soldiers. Every villager is killed in the attack, including Chester’s sister and both of Cress’s parents. While Chester mourns, Cress vows for revenge. He decides he should flee to the town of Euclid, where his uncle lives. 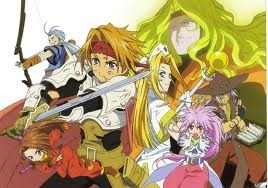 Tales of Phantasia is the first game in the JRPG series, Tales, and follows traditional norms, while adding a new and inventive combat system (something that the Tales games are well known for).